Racing games are loved and wanted on any platform, be it mobile gaming, consoles gaming or pc. The genre is one of the most popular genres across the platforms if not the most popular. Another good thing about racing games, they never get old. 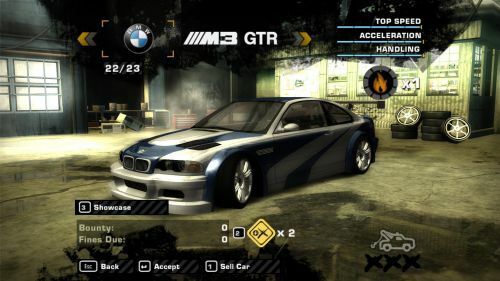 How many times have you played NFS Most Wanted? Yeah, that's what I thought. Most of the racing games also have a detailed storyline which makes you feel more included in the story after every turn. There are a few things that I keep in mind about racing games, good storyline, good physics, good graphics and most importantly great racing experience. The first point can be sidelined for a bit but the rest is very important, however, without a good storyline the replayability of the game kind of dies unless it's something like Most Wanted, LAN never gets boring. How do I pick only 5 car racing games out of the bunch? This is a problem, so I decided to look at a few things before mentioning the games. Open World interaction, graphics, physics, and racing experience. Need for Speed: Most Wanted is an open world game published by EA. Without any doubt Most Wanted was one of the best game of the franchise if not the best game and the most successful game as well. The game offers you very detailed storytelling where you fight your way up the illegal racing circuit. It has great graphics, great physics and it provides you all-round racing experience. Intense car chase scene, badass villains and top notch cars waiting for you to modify them. Modify them, paint them, do whatever you want with your cars. You can choose a mission and win a race or you can drive around through the detailed open world. The best part about Most Wanted is that it can be connected and played in LAN with your friends.